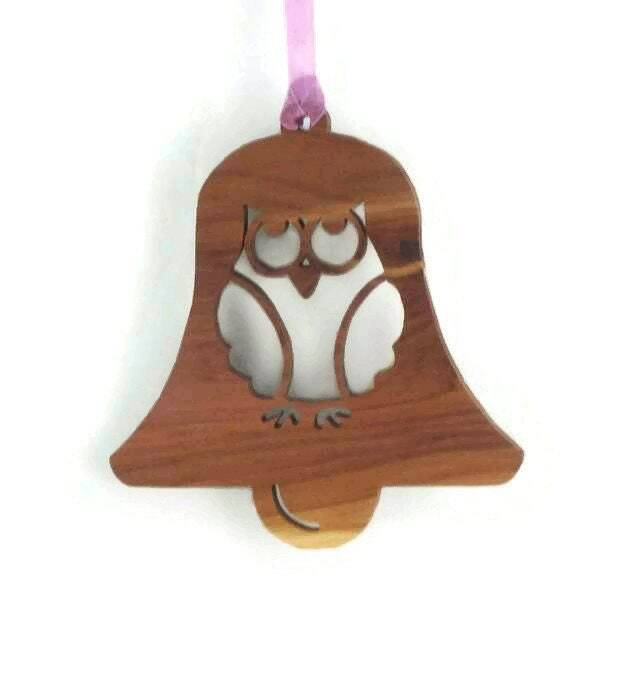 If you or someone you know likes owls them this beautiful Cedar owl Christmas ornament is the perfect item to decorate your Christmas tree with for the holidays. 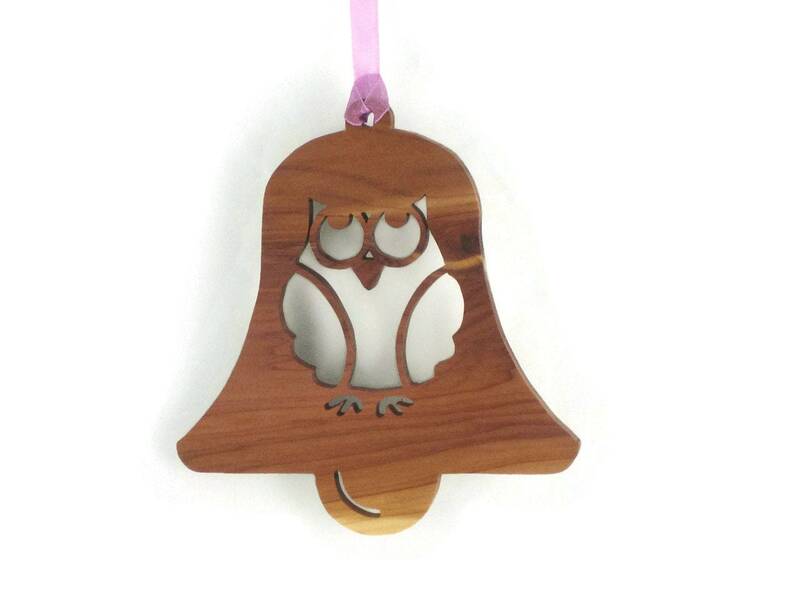 This bell shaped Cedar ornament features a owl cut out in the center. 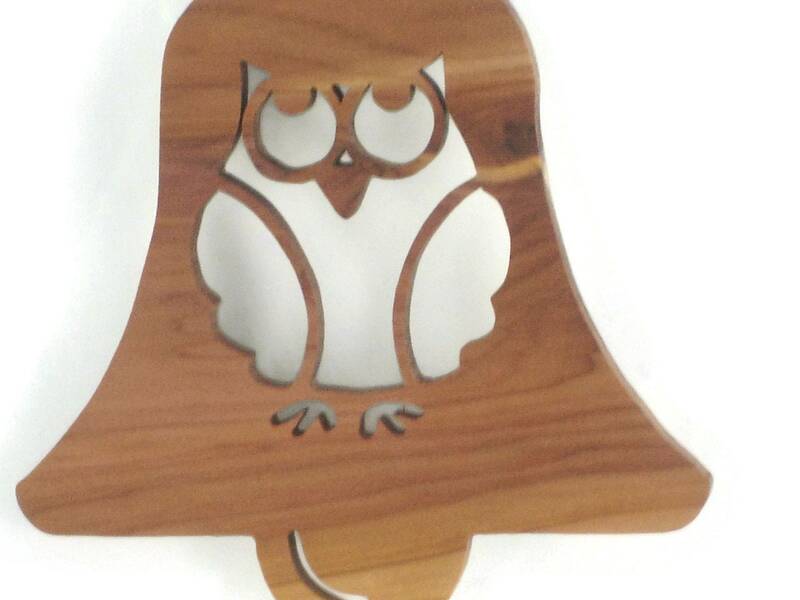 This was handcrafted using a scroll saw. A various colors of ribbon was added for ease of hanging this owl on your Christmas tree. 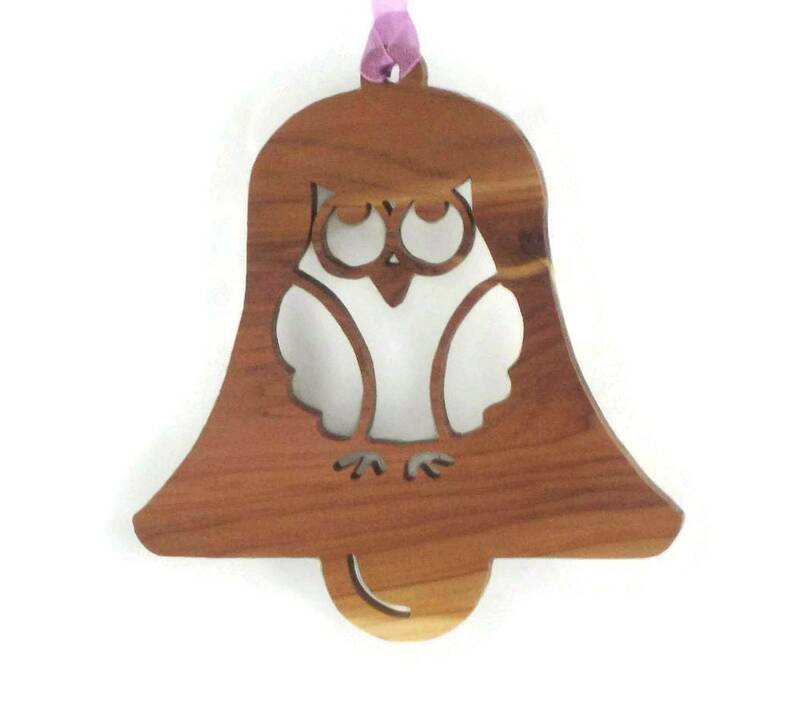 A natural bees wax and mineral oil finish was applied to bring out the beauty of the wood grain as well as protects this owl for many years of enjoyment. NOTE: Actual look may differ slightly from the photos due to various wood grain patterns and colors of the natural wood. Ribbon colors will vary.